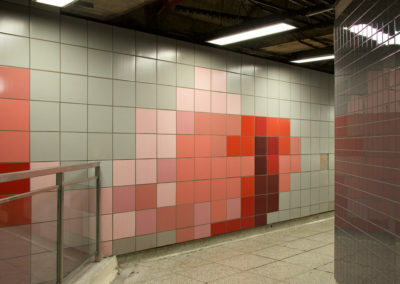 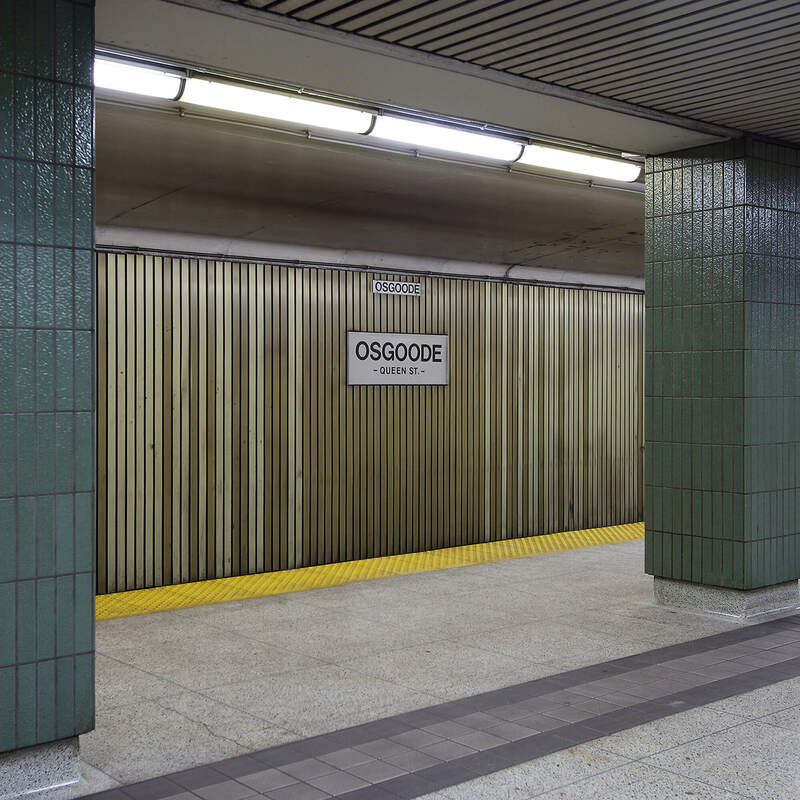 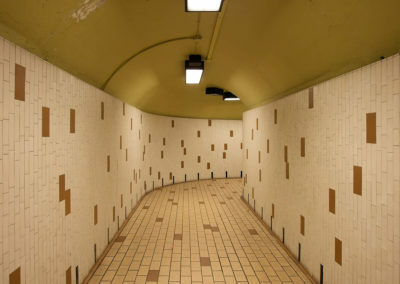 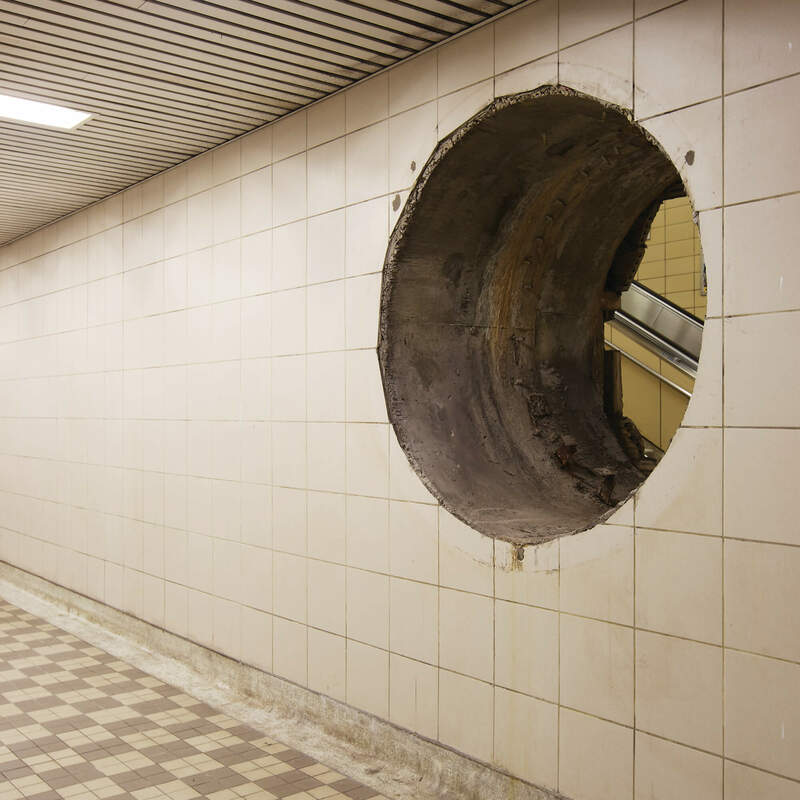 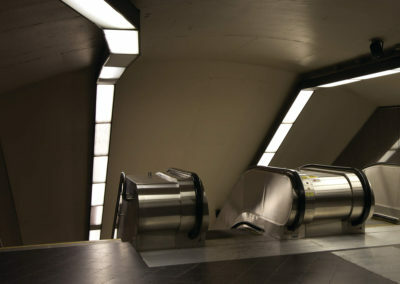 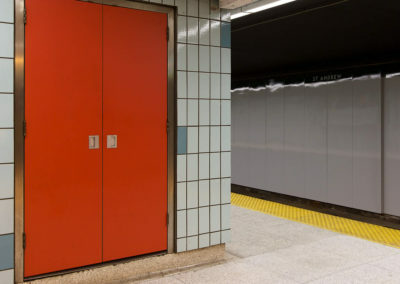 A continuation of his subway series that began with Transitions in 2007 and Waiting in 2010, Underground is an revival of the obsession that introduced Shepherd to the Canadian art scene. 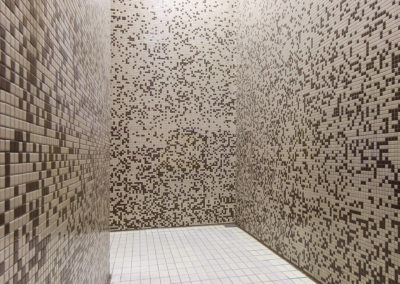 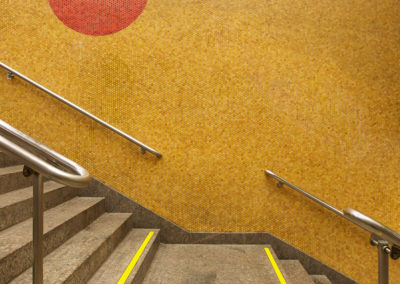 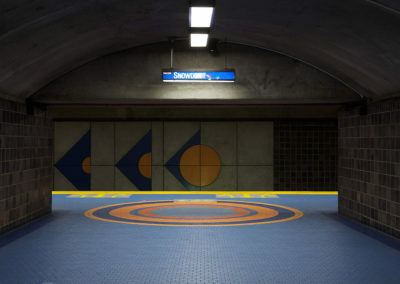 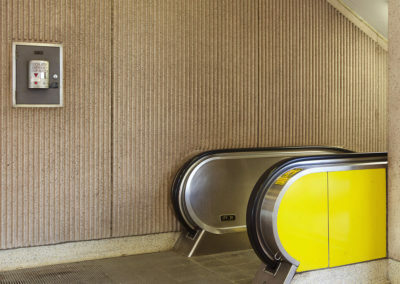 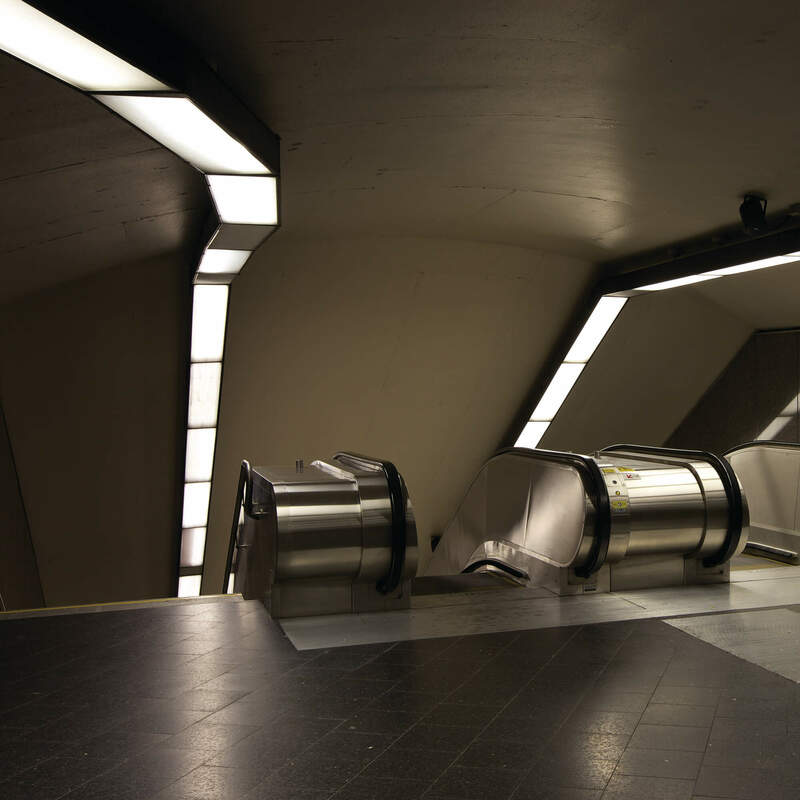 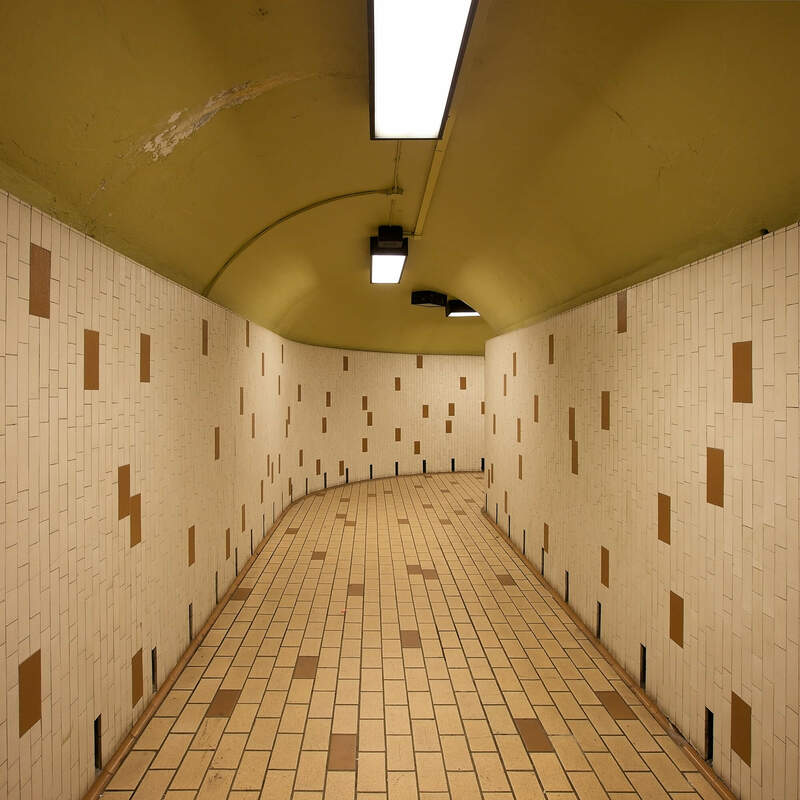 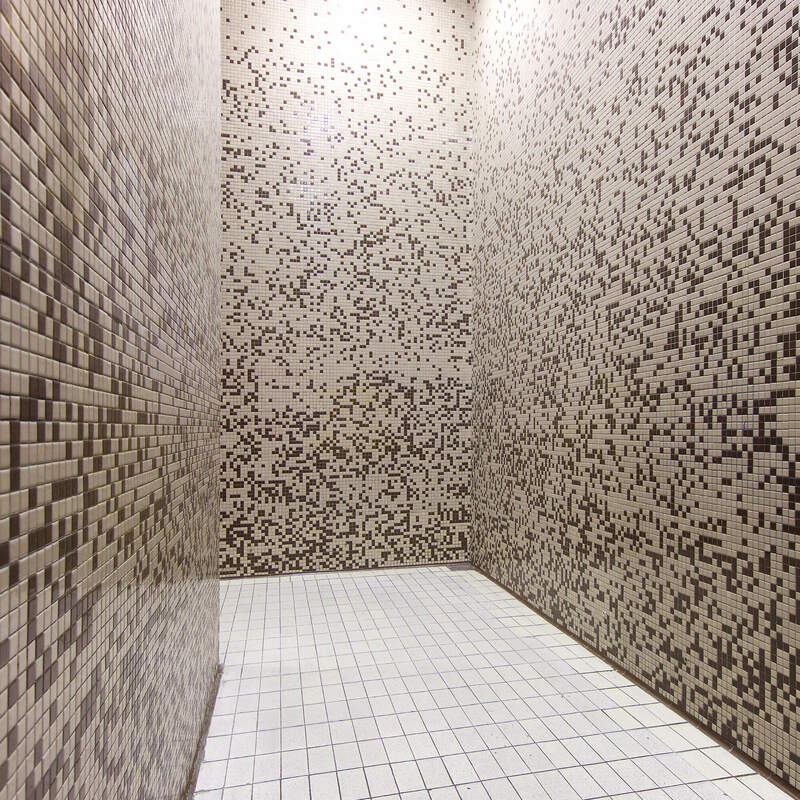 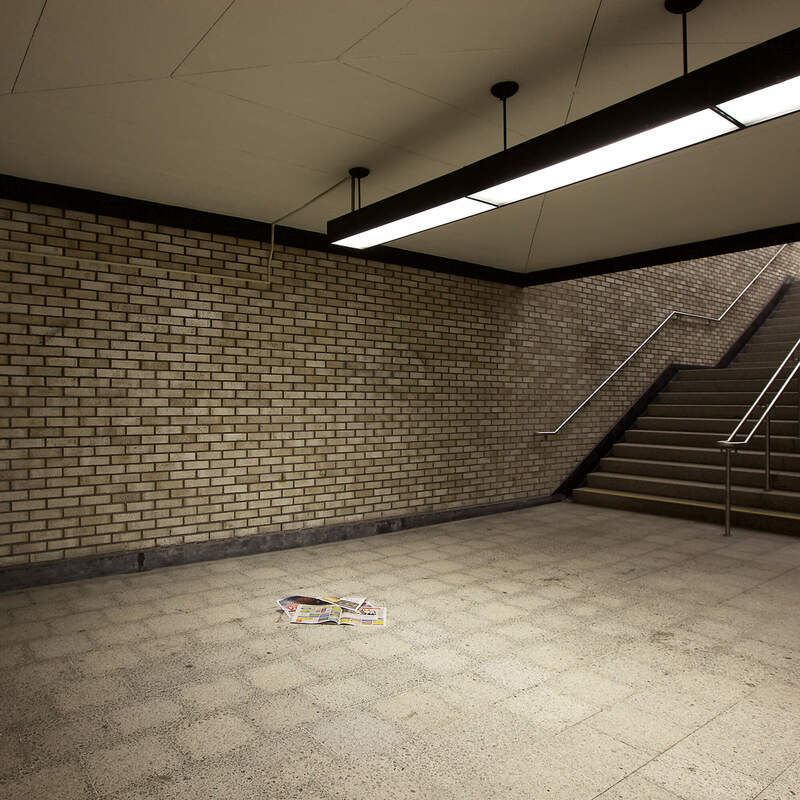 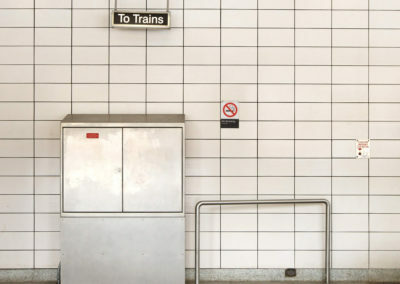 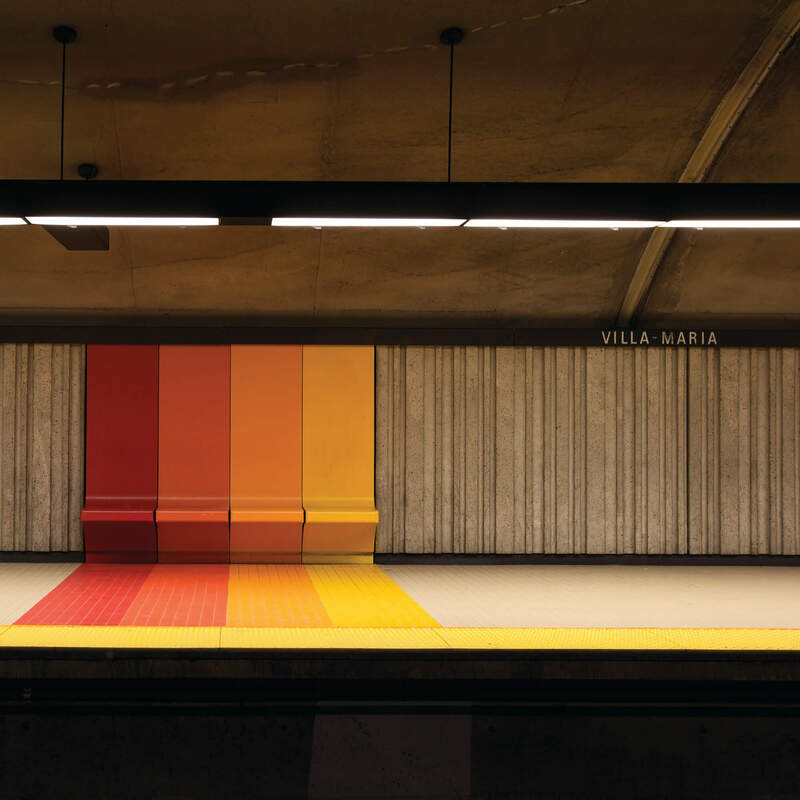 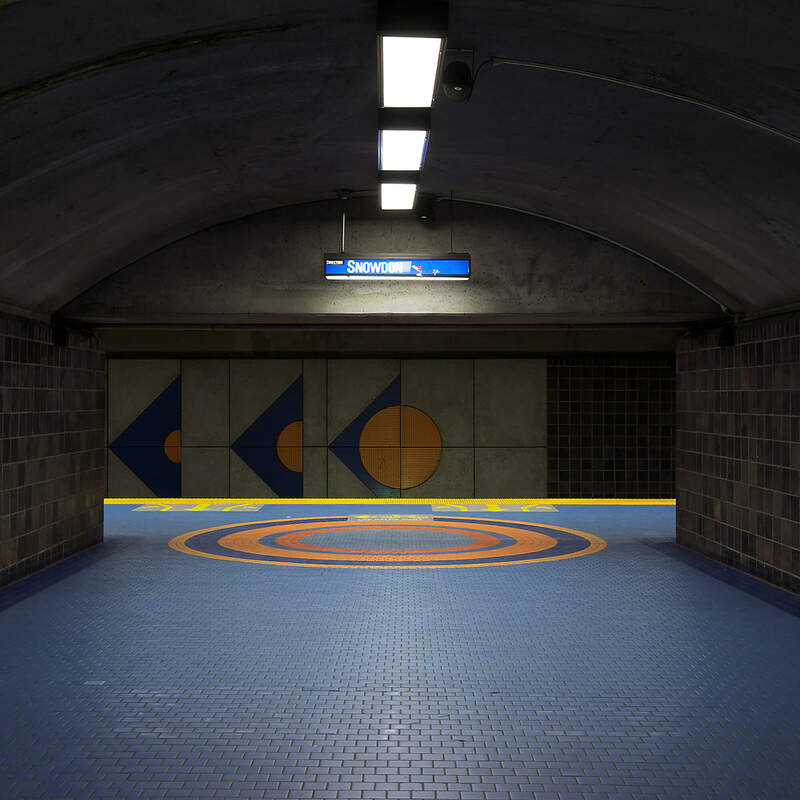 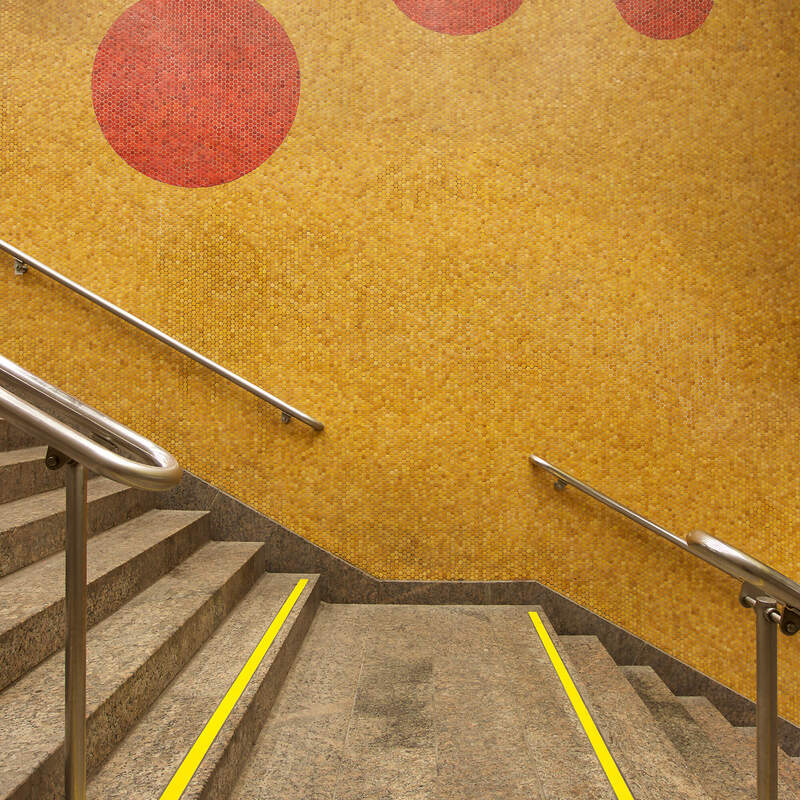 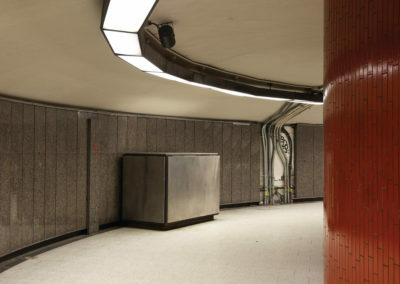 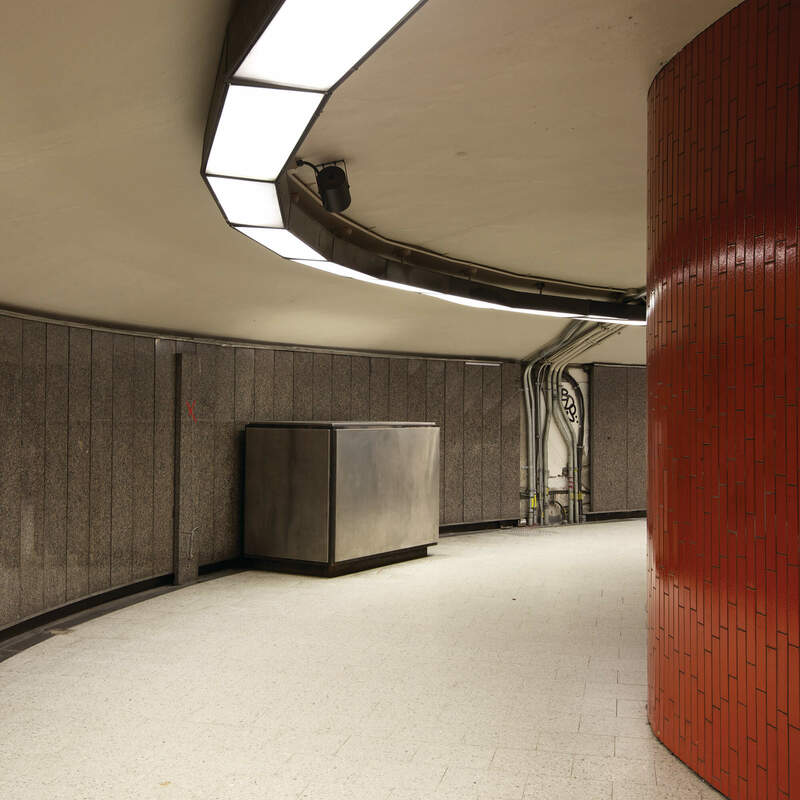 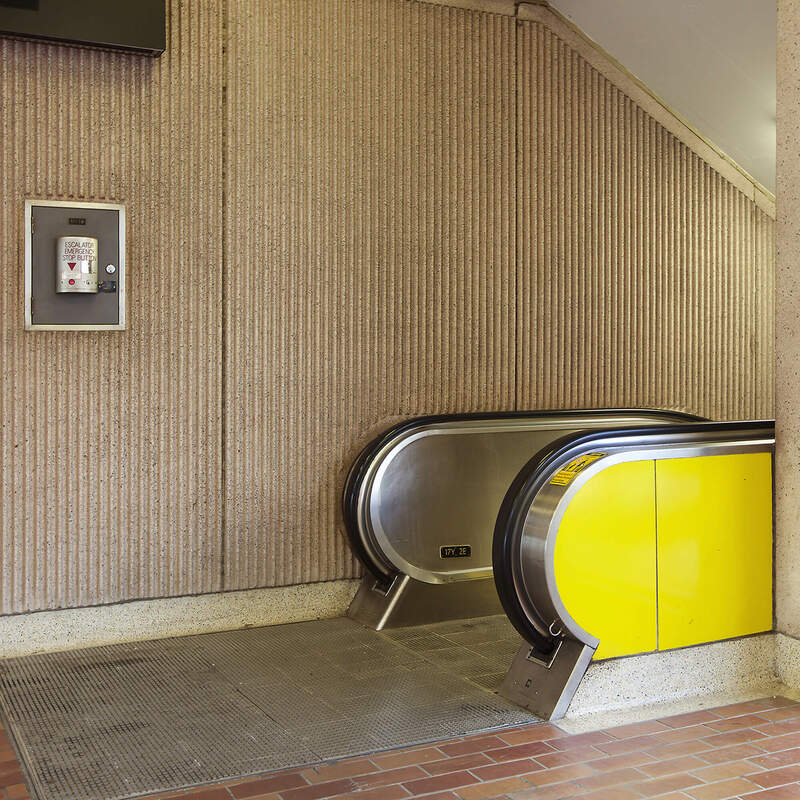 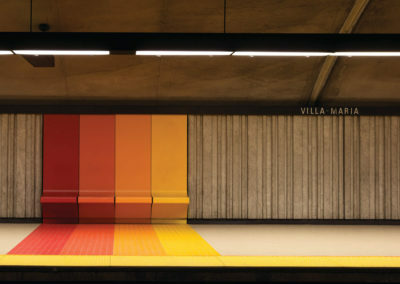 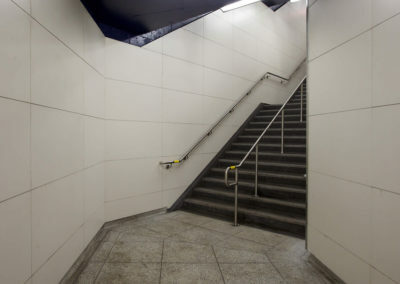 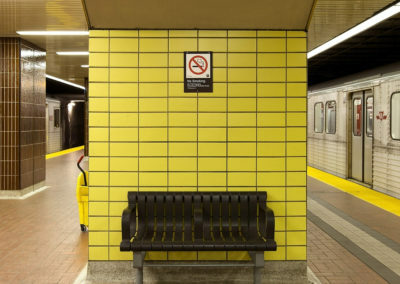 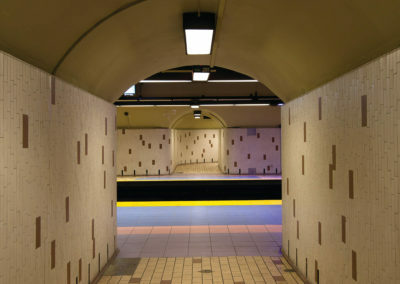 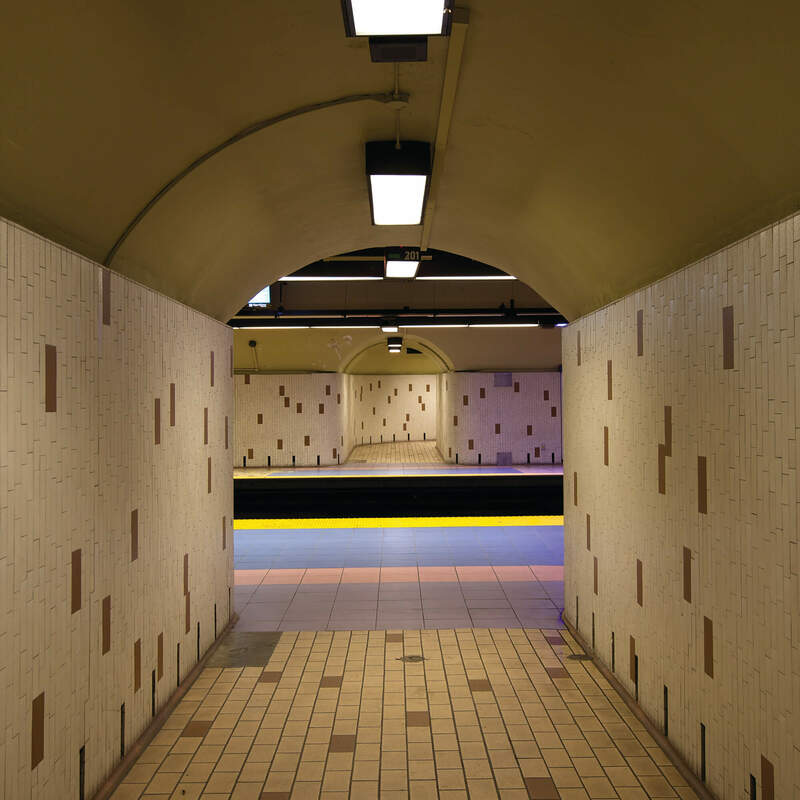 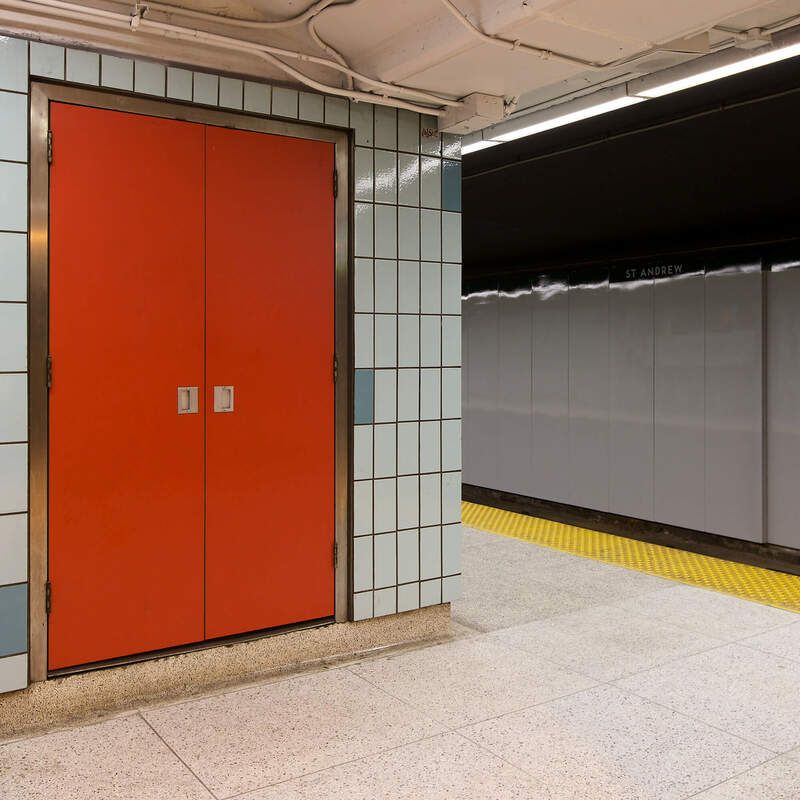 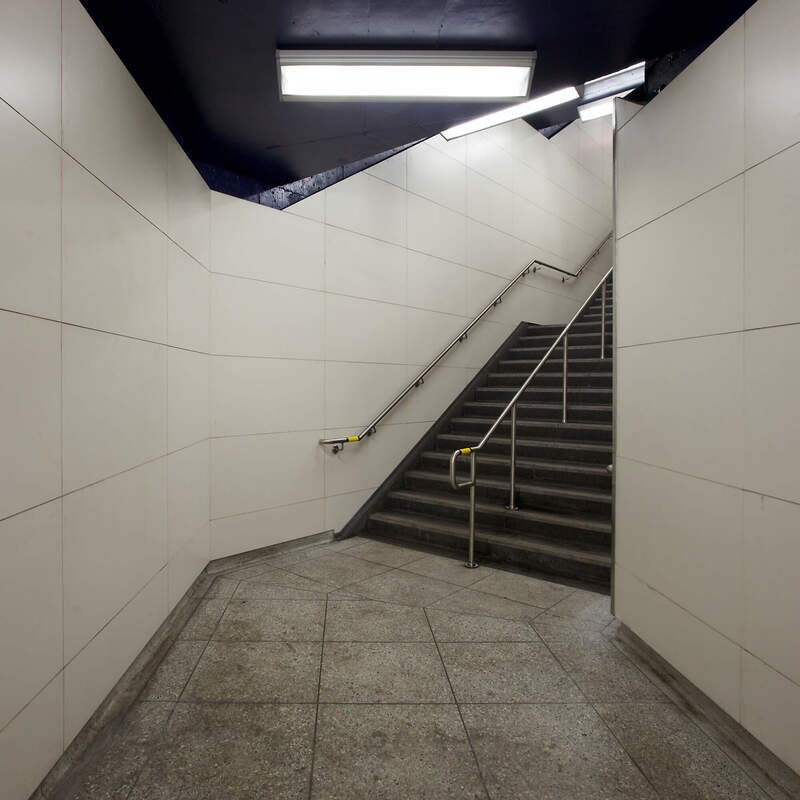 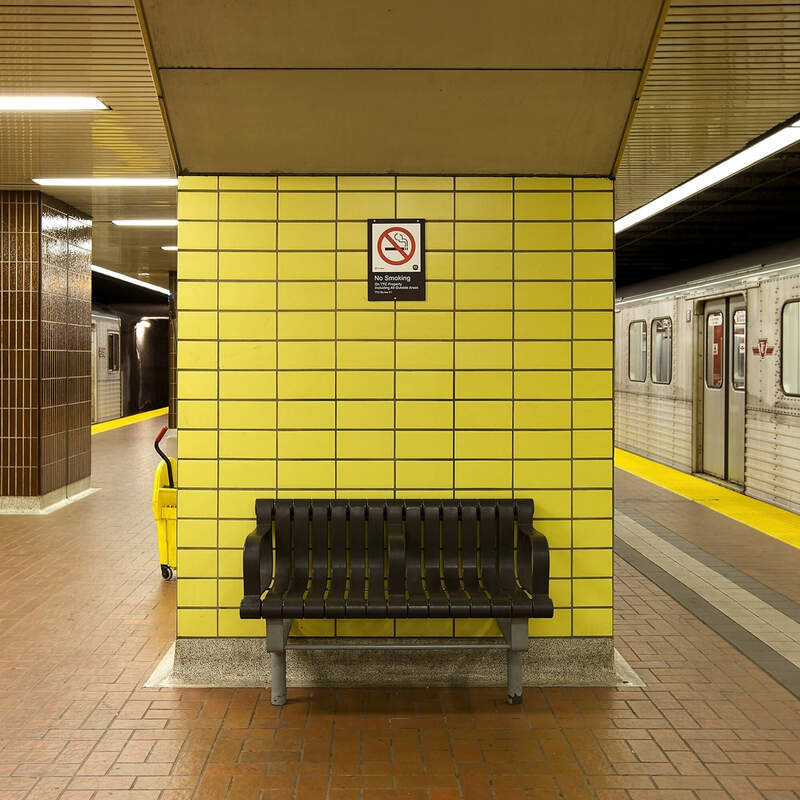 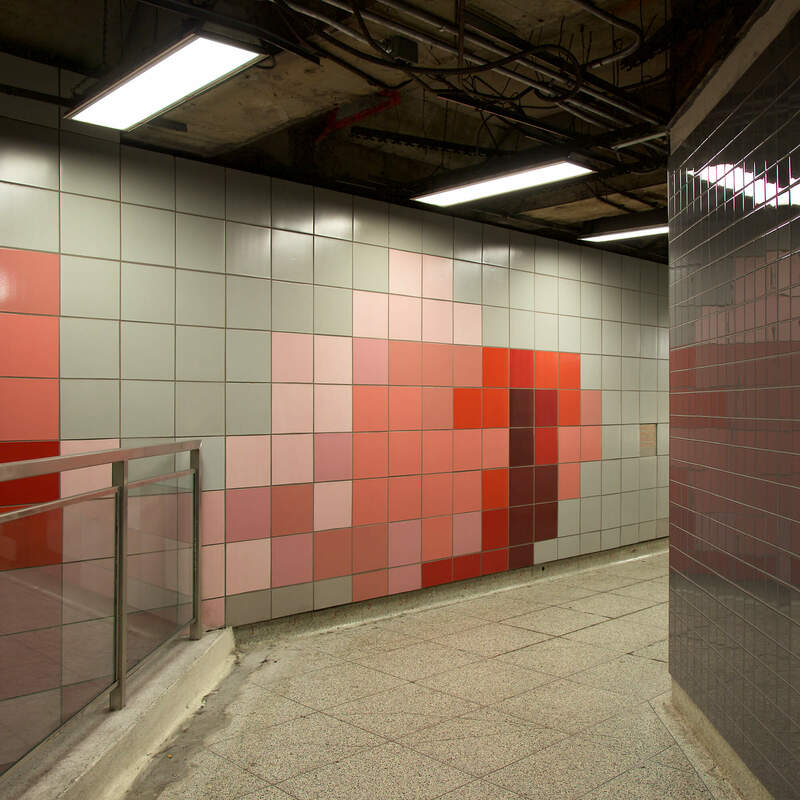 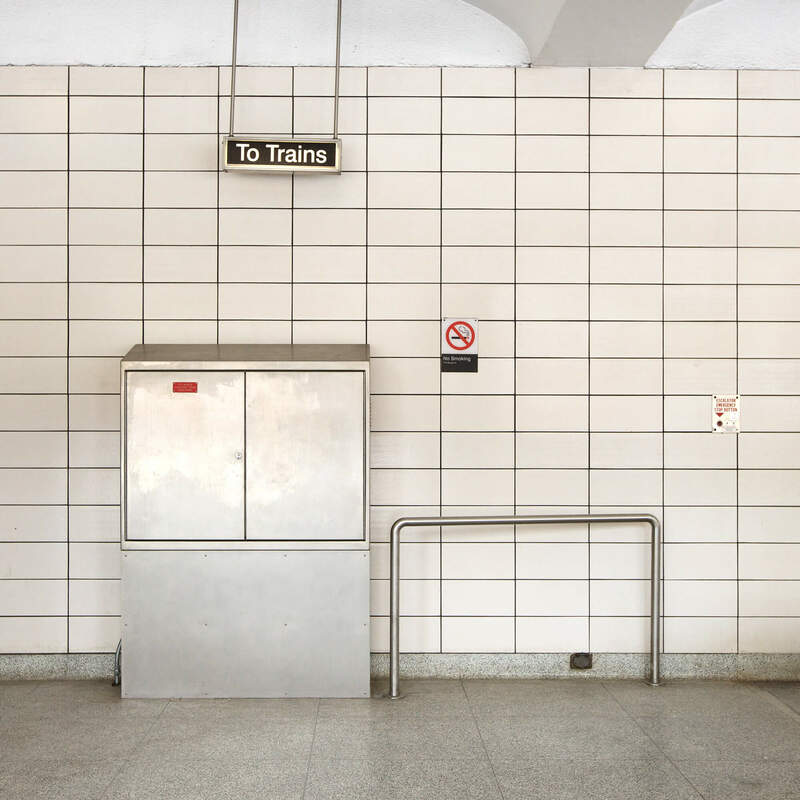 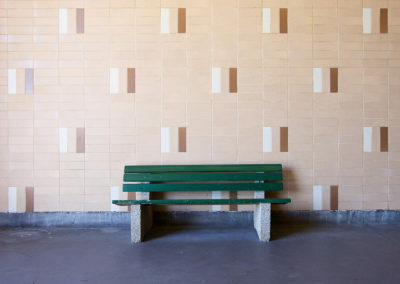 Encompassing imagery from his most recent exploration of both the Toronto and Montreal subway systems, the work is unified by the artist’s signature approach to lighting, composition and form. 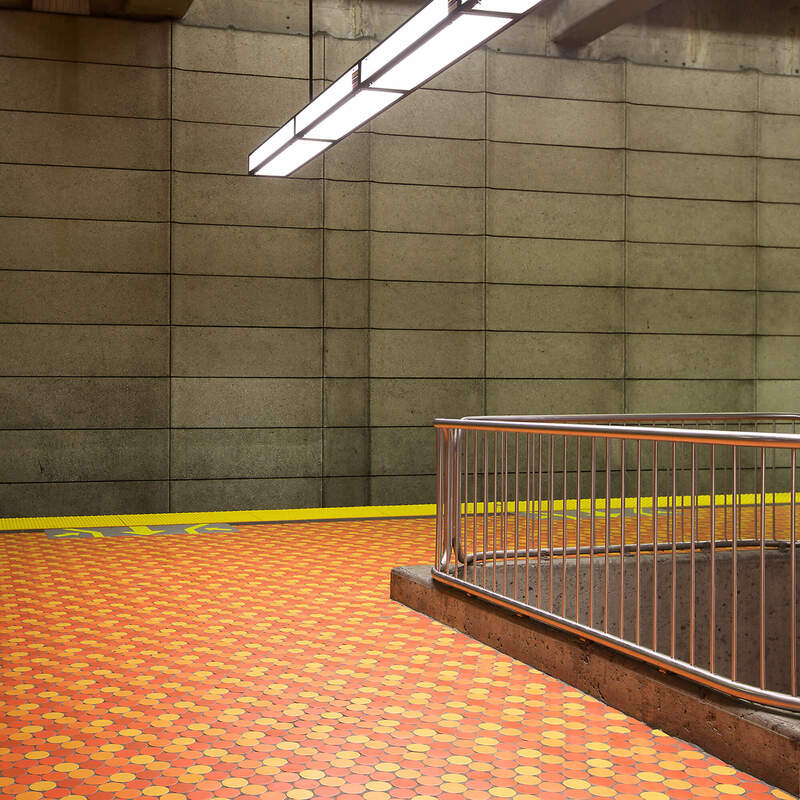 Submerged from view in both Montreal and Toronto, the subways of each metropolis weave, burrow, anchor and nourish the structures and urban life aboveground. 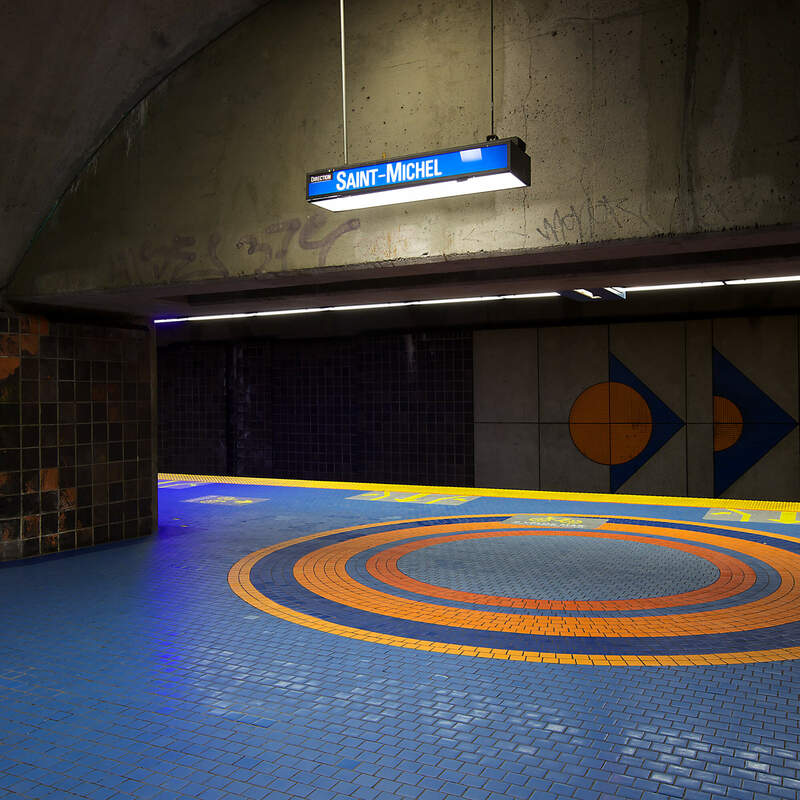 Montreal’s metro is the third busiest network in North America — behind only New York and Mexico. 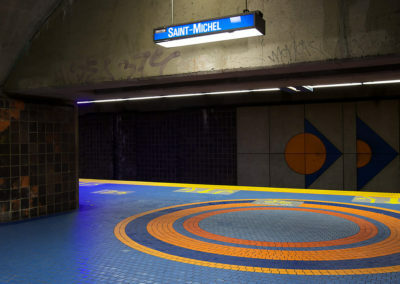 Toronto’s subway is a close second in size to Montreal, moving fewer people but reaching more stations than it’s Francophone sister. 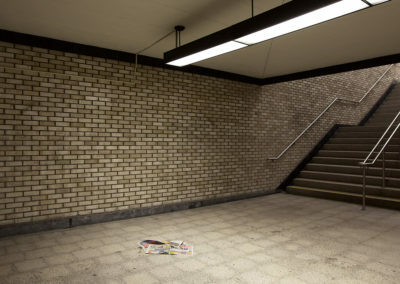 Underground is an exploration of both city’s subterranean networks, but rather than capturing the frenetic activity of each system, Shepherd instead turns our attention to the fleeting moments between the perpetual cycle of arrivals and departures; the ignored hallways, staircases, platforms, mezzanines, tunnels and inanimate skeleton of the transit lines. 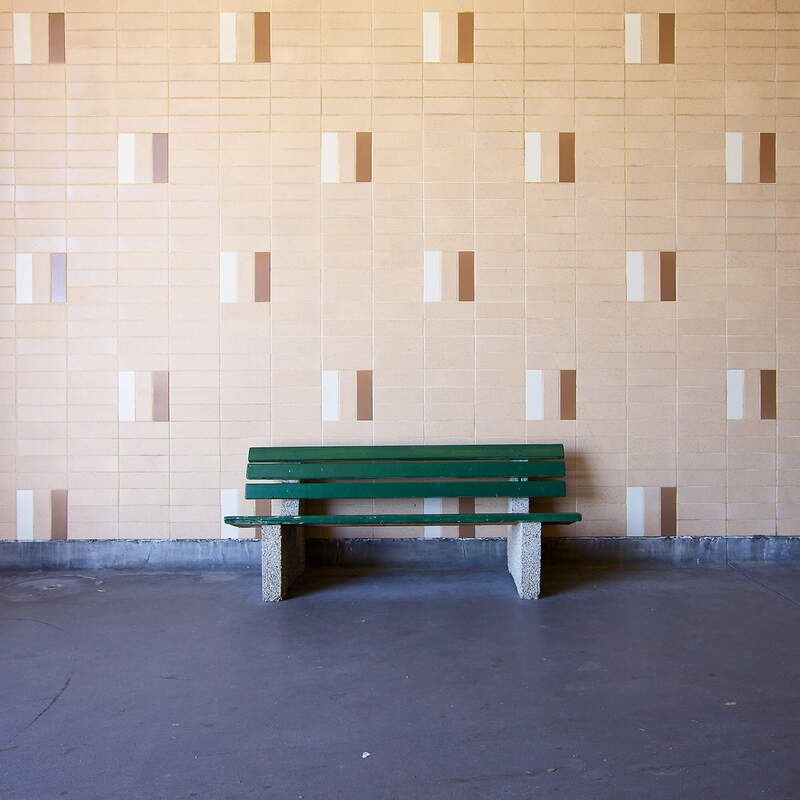 Each image depicts quiet details of the everyday, resonating with a silent beauty that transforms the utilitarian spaces into painterly tableaus of contemplation. 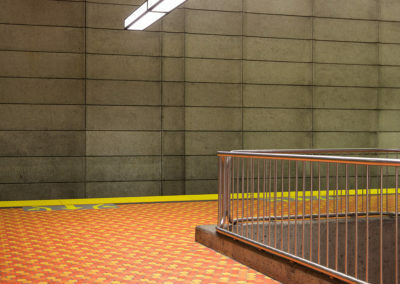 Shepherd describes his compositions as ‘”temporal blips in the consistent hustle and bustle of everyday life.” As part of an ongoing study, the images are inherently bound to the archives of each city, serving to document and re-document the chronological life-span of the spaces as they continually adapt to the changing needs of the urban-dweller. 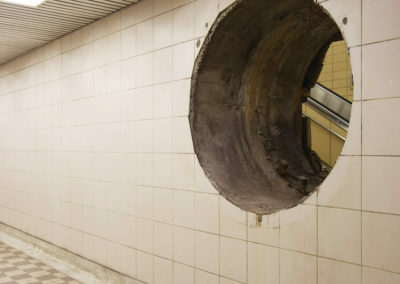 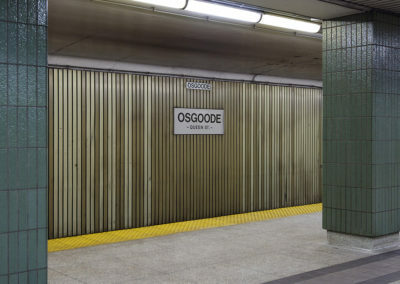 Underground was exhibited in Vancouver and Toronto in 2015 and is an ongoing series.